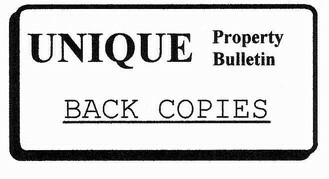 As with so many editions of Unique Property Bulletin we started from somewhere completely different to the eventual content that managed into the actual published copy. On this occasion, we were researching additions to the Bulletin sister website Grand Designs For Sale. We do have a brand new Grand Design property fresh to the sale listing later on in this Bulletin. 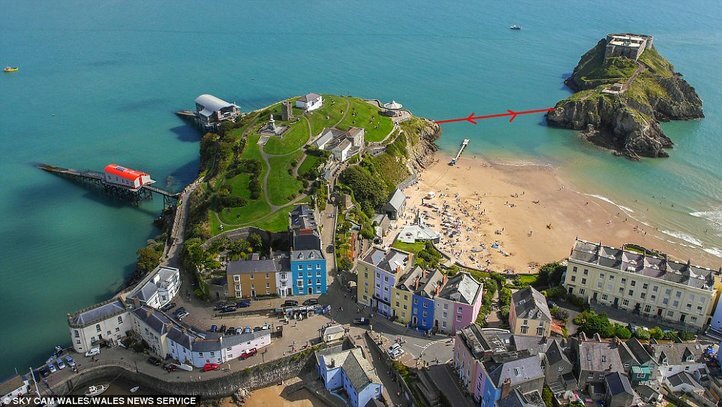 But whilst looking for a topic for this month’s feature article, we revisited the Grand Designs Tenby Lifeboat Station project to see if there was any news of that converted lifeboat station coming up for sale. 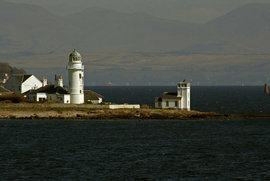 Then came a distraction with St Catherine’s island which is close by – just around the headland. This small island and fort is a visually impressive place. You can see by the picture how easy it is to wander over and take a look-see (here). 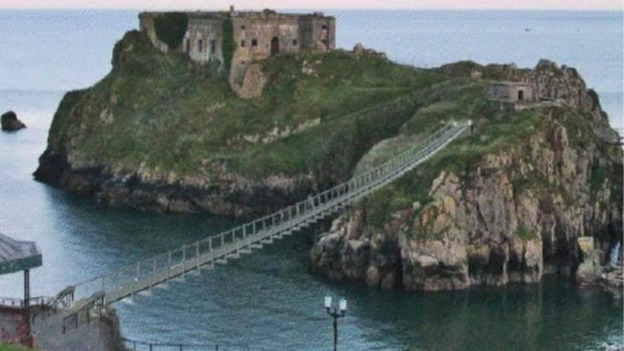 That led to news about the new footbridge to the diminutive island, which is aimed at helping improve accessibility (here). The tidal nature and other factors have been a block in the past. This echoed our own experience living on a small tidal island. 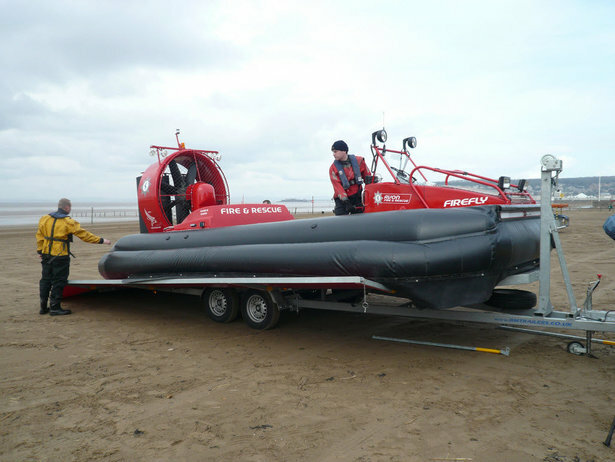 The various ways for getting on and off – especially when the tide is high. A reasonable number of properties in these Bulletins have interesting challenges surrounding their accessibility. This is how we have landed on the topic of unique transport and journeys for this Bulletin’s feature article. 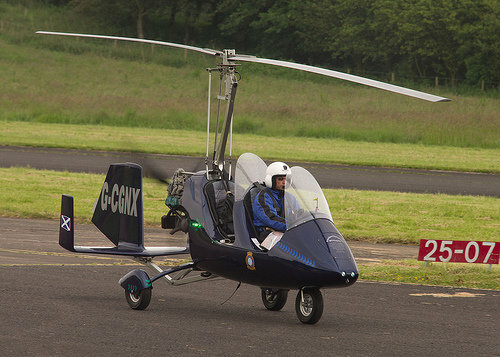 Lifelong friend Lorne has offered the spare seat in his gyrocopter for a fun flight. What do you reckon? Yes or no? Not that long ago the Hartland Point Lighthouse sale had buyers expressing concern about physical accessibility to the site. 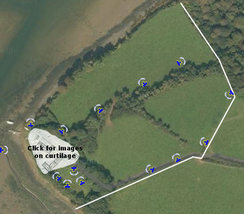 We proposed a modestly interesting way to get to and from the lighthouse along the access track. Our own view is that access issues should not be a problem on how a unique property is reached but an opportunity to innovate interesting solutions for such dilemmas. 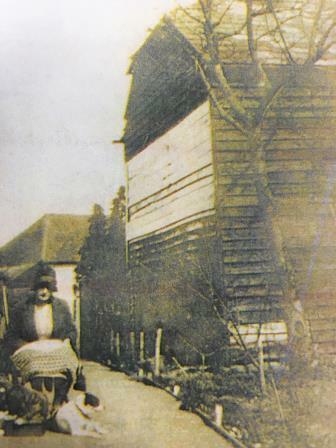 In Better Days – The Barn, Green Hill Lane, Maidstone, Kent. What can we say? You are going to need a big strimmer! 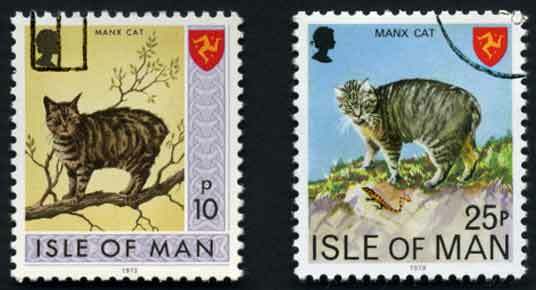 The past few weeks we’ve had a lot of requests for land in the £10,000 to £20,000 range. As you might gather, this, like the weeds here, is a tall order. If you read this after the auction date, it is well worth while to check whether the lot actually sold on the day. Post-auction purchases can present very competitively priced property bargains. 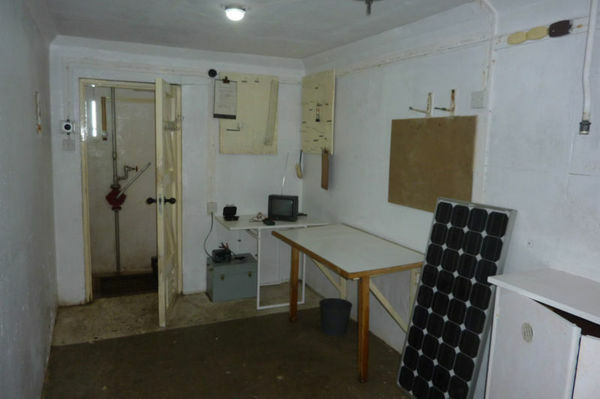 Guide: £20,000 – Mid edition update: Barn now sold. Here is an ALTERNATE for sale. Higher price but still worth a look: Click Here. Contact Clive Emson Auctioneers – Tel: 01622 608400 – Ben Snelling or John Stockey. 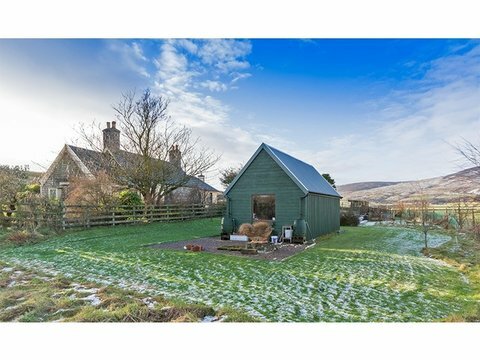 Please can folk mention to the auctioneers that they found this bargain barn for sale in Unique Property Bulletin. This helps us keep this publication free for all readers. Viewer discretion may be advised!!! Not too sure what our friends, the owner of Haile Sands Fort would say about the film above. It is certainly entertaining and interesting. More than that – for anyone contemplating the purchase of Haile Sands Fort, the Bulletin would HIGHLY RECOMMEND you watch the Conquering Haile Sands Fort video above. Though PLEASE do NOT climb up the sides of the fort, Please contact the owner (here) and we can arrange for you to have access through a ‘normal’ front door. 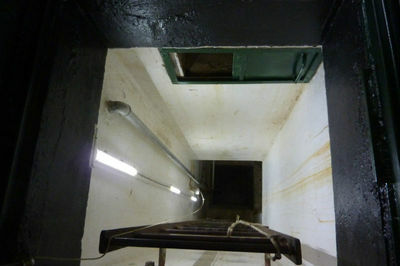 Check out how shallow the water can get by looking at the sand-to-fort access ladder heights. You can see how low the water can get towards ebb-tide. A very easy false sense of security that can happen on tidal islands. Hence the video clip at 4 minutes 38 seconds into NikkPow’s brilliant piece on Youtube, and the scary bit that Barmy Ben encountered: Click here. 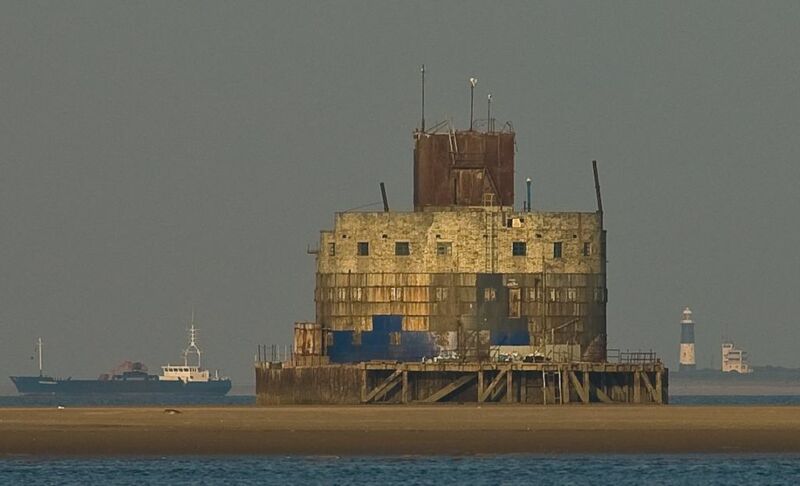 The approaches to the River Humber have been guarded by this fort with gun batteries and anti-submarine nets of steel mesh stretched between them across the mouth of the estuary since 1919. Though the building of the fort commenced exactly 101 years ago in May 1915. Originally Haile Sand Fort had full amenities for a garrison. 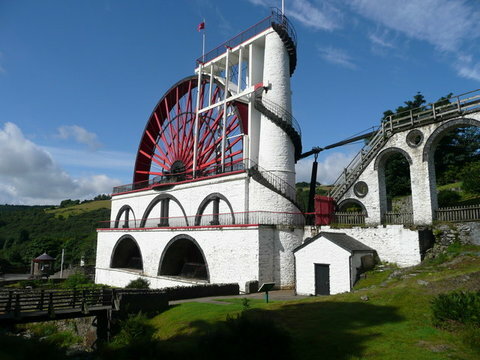 It is believed that 40,000 tons of concrete and steel went into the construction, at a cost of around £1,500,000. Haile Sand Fort was constantly manned during both world wars, and often under attack from aircraft and submarine. The army left in 1956, but the fort was still manned until the early 1960’s. Guide: £350,000 – MID EDITION UPDATE. AS OF 10 MAY 2016 PRICE NOW IN THE REGION OF £300,000. Contact 2: Tel: 01702 870878. 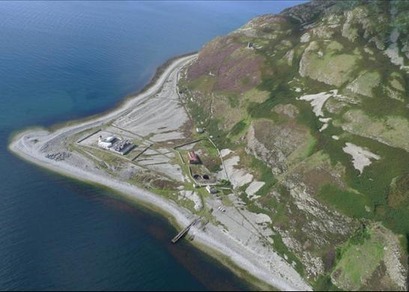 Please can folk mention to estate agent that they found this island fort for sale in Unique Property Bulletin. This helps us keep the bulk of this publication free for all readers. 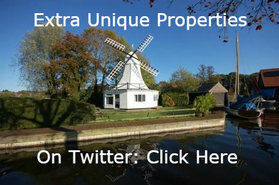 At Unique Property Bulletin we genuinely do our best to list unusual property within the M25 London area. However, as many capital city dwellers will know, London property sells quickly. So many times we have featured a London property only to have the listing changed to ‘sold’ within hours of the Bulletin going online. We are working on how to remedy this problem. One way of course is to be proactive and buy a copy of the Unique Property Manual (here). This will give you ways to squirrel out some interesting London deals that are not yet in the High Street estate agency windows. For now, list a water abode close to the London Underground to inspire your inner uniqueness. The best of both worlds – a residential mooring and home for commuting to that job in London, and then at the weekends, up-anchor and enjoy a sedate and relaxing cruise around the canal network. This unusual home is set within a private gated community, situated on a small spur off the Grand Union Canal at it’s Southall section. Coming up for auction soon. Worth reiterating – if you read this after the auction date, it is well worth while to check whether the lot actually sold on the day. Mid-edition update: This failed to sell at auction: post-auction purchases can present very competitively priced property bargains. Modest but very pleasant. With the price of London residential property, life afloat might be a very interesting option to consider – both in style and budget. Contact Clive Emson Auctioneers – Tel: 01273 504232 – Sam Kinloch or Emma Attrell. 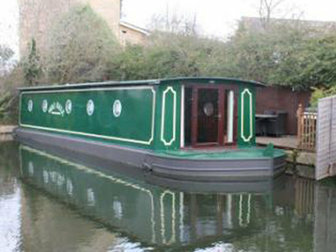 Please can folk mention to the auctioneers that they found this canal boat and mooring for sale in Unique Property Bulletin. This helps us keep this publication free for all readers. As well as this monthly Bulletin, we have the regular Facebook and Twitter updates every 2 or 3 days: here and here. However we also revise, update and ADD to this monthly Bulletin during the course of the edition with relevant changes and new unique property that fits best at this online magazine website, rather than our social media newsfeeds. This wonderful looking old chapel has much character. The tower is eye catching in a Romeo and Juliet sort of way. 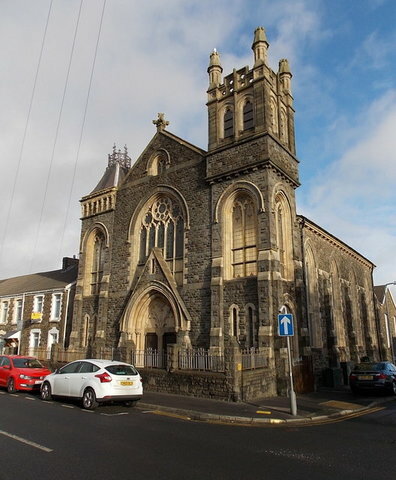 This former chapel was originally constructed in the late 18th century. Timber floors, solid stone walls under a timber pitched roof, clad with slates. The chapel has stained glass windows in part and is Grade II listed. The original pulpit and organ are still in situ. Guide: Not disclosed – We wish they wouldn’t do that. Estate agency details/brochure with no price guide is very off putting. Contact Rowland Jones Agencies – Tel: 01792 648809. 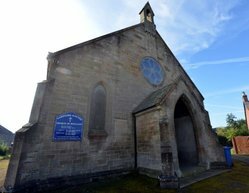 Please can folk mention to the estate agent that they found this former chapel for sale in the Unique Property Bulletin. This helps us keep this publication free for all readers. 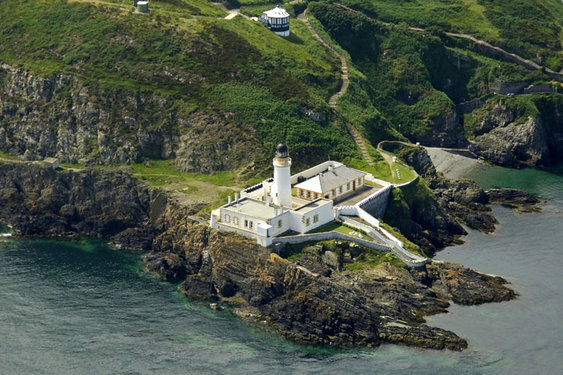 All in all, Douglas Head Lighthouse on the Isle of Man is a genuinely unique style of life to consider. 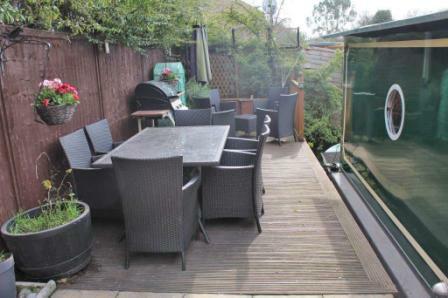 Guide: £399,950 – REDUCED FOR PROMPT SALE: £349,000. 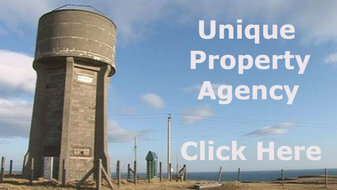 Contact Unique Property Agencies – Tel: 0845 862 1 268. 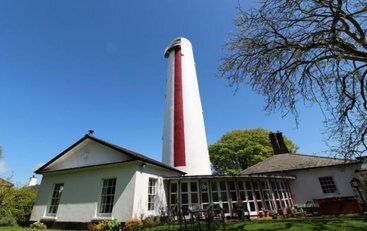 Please can folk mention to the estate agent that they found this lighthouse building for sale in the Unique Property Bulletin. This helps us keep this publication free for all readers. Thinking of Selling Your Unique Property? 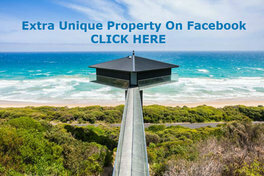 By placing your property for sale with Unique Property Agencies, you can ensure a dedicated team will make best efforts to sell your unique property and attend to your needs. In addition our friend’s estate agency is sponsoring the Bulletin – helping us help you. WANTED: UKWMO BUNKERS. CASH WAITING. DO YOU HAVE ONE TO SELL? … ready and waiting for the right UKWMO Bunker. 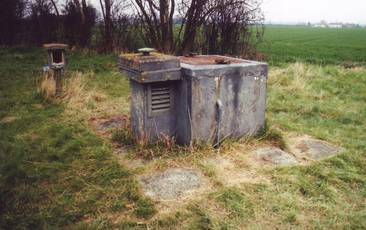 Do you have a UKWMO Bunker to sell? 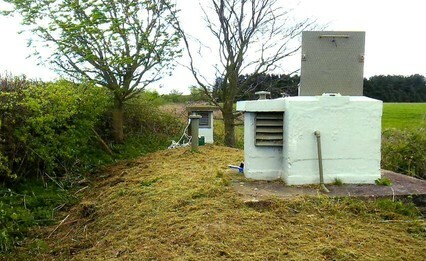 If you do have one of these UKWMO Bunkers to sell, please feel free to get in touch and we shall do our best to introduce you to one of the cash buyers waiting. We will do our best to secure a sale for you. 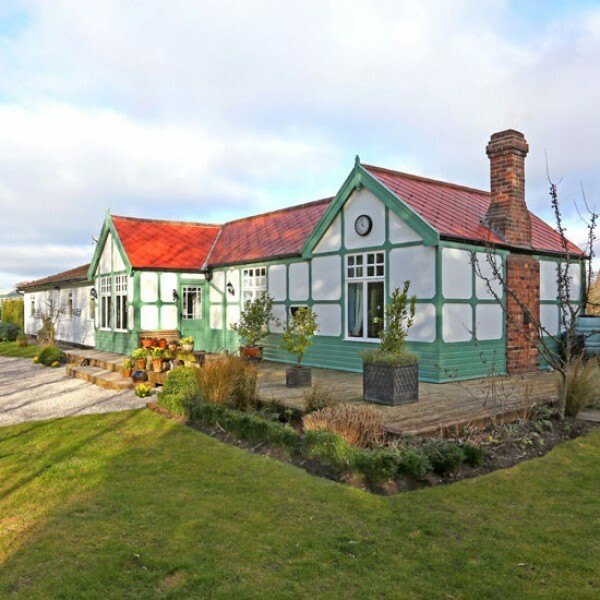 This former railway station has been converted to form a home, plus lifestyle income in the form of three railway carriages that serve as holiday accommodation. Estate agency narrative: Skipwith Station provides an opportunity to purchase an established and improving holiday letting business based on quirky accommodation created from historic railway carriages which have been carefully developed and ideally suited to the former railway station location, providing appeal to families and railway enthusiasts seeking self catering accommodation with a difference. Situated on the edge of Skipwith Common the property is ideally located for access to the City of York as well as the wider tourist attractions found across Yorkshire. The property includes a four bedroom family home which incorporates the original ticket office and waiting room which have been sympathetically extended and updated to provide comfortable owners accommodation. In addition the property provides four letting units, three of which have been created from former railway carriages together with more recent redevelopment of a former goods building. 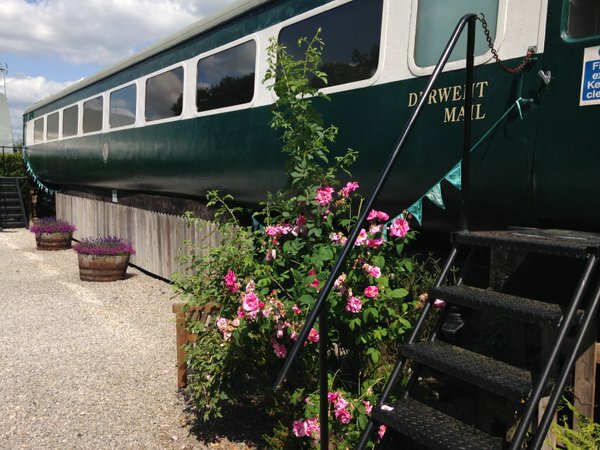 Skipwith Station is situated on the former Derwent Valley Light Railway which was constructed from 1912 and stretched 16 miles linking Cliffe to York as a method of transport for the agricultural community. 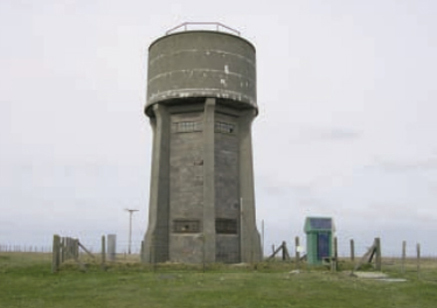 Despite being heavily used during WWII to service Government depots and airfields, demand from agricultural traffic reduced resulting in the line eventually closing in 1985. 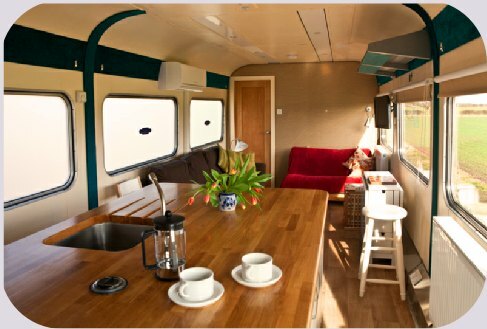 The holiday enterprise at Skipwith Station has been carefully developed utilising the history of the site to provide holiday accommodation with a real difference. Guide: £795,000 – for the home and business. Contact Savills – Tel: 01904 617 819. 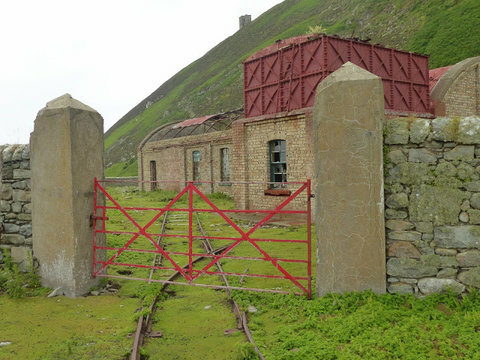 Please can folk mention to the estate agent that they found this old railway station for sale in the Unique Property Bulletin. This helps us keep this publication free for all readers. 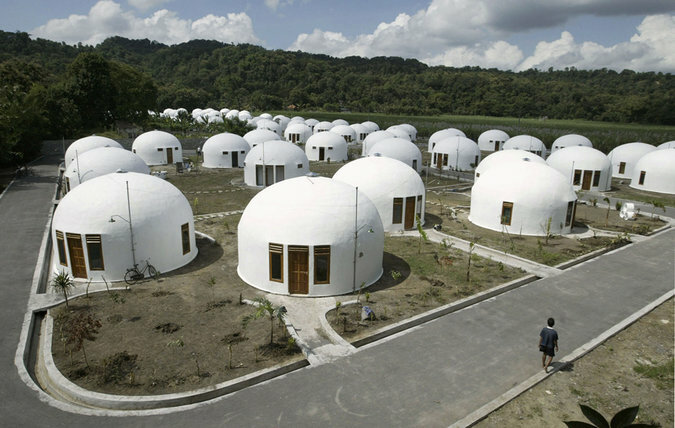 Many years ago, an architect friend, Matthew Laird, now long passed-away, came up with an idea for housing at worldwide disaster areas. Structures that could also stand the test of time, and be a decent, fully functional home for as long as needed. This was in response to many ‘temporary’ units that are often sent out to ameliorate a major crisis. Well intentioned, but not designed to sustain the length of service for which many end up being utilised. 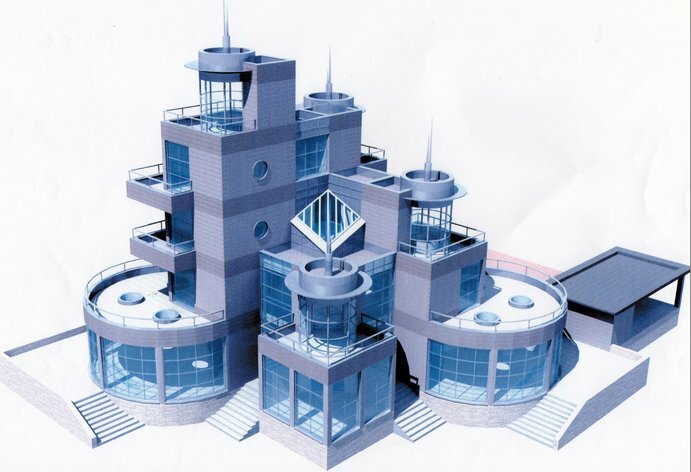 Matthew Laird’s buildings were known as Quantum Houses. An aesthetically pleasing ‘A’ frame structure. 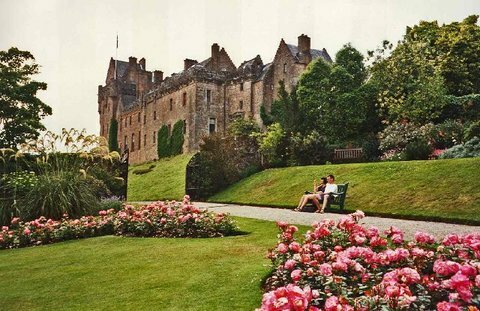 Sadly the only one of these buildings that I know still exists is at Dhunan Orchard, Corriegills by Brodick on the Isle Of Arran. One of our sister companies still has the licence and plans for these buildings and it is a lifelong hope that more of these will be built. 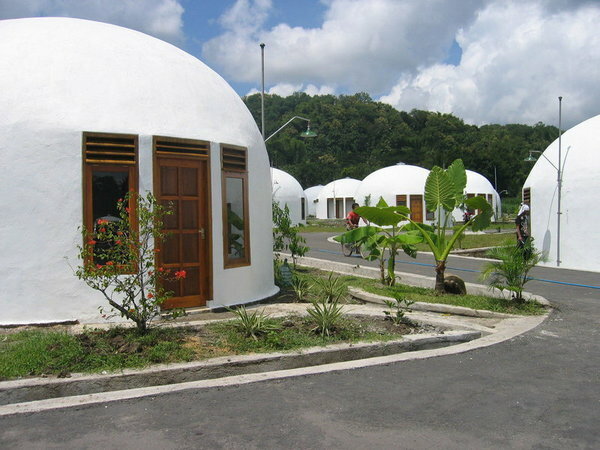 In place of triangular, this month we have a circular dome shaped equivalent that illustrates how much this sort of emergency accommodation is needed. It is an excellent ancillary benefit that they look like somewhere many of us would choose to stay for a while, or if needs be longer. I lost two and a half hours getting stuck into your website. In a good way. You had a section called ‘Two summers and no winter’ which I really liked. But that piece was written back in 2014. Have you anything that includes buildings being sold now? I’ve agreed a sale on my house for £322,000 and am almost ready to move. There is a good budget to be split between the north and south for maximum summer sunshine. Thanks K.C. This is an interesting enquiry. We think the old article referred to – for reference is here. How could we not accept the challenge? For the northern summer we have a modestly priced former railway station. The two summers thing is our principle of splitting six months with a home in the north, and six months of the year at a home in the south. Rural location means a very competitive price so many folk can afford the two homes. The secret ingredient is a proximity to the Arctic and Antarctic that gives 18 hours of daylight and lots of sun. The is an often misconceived notion thought is the north of Britain has a lot of dark nights and cold weather. Yes this can be true – in the winter. But in the summer, the far north has very long and bright days. Same goes for the far south: we are talking Australia, or for shorter bi-annual commutes, the south of France, possibly Spain and certainly the Channel Islands/ Rock of Gibraltar areas. The current owner bought this former railway building in 1994 – 10 days after first sight and falling in love with the place. Now, 22 years later, this old station master’s house is available for £150,000. As detached property goes, this is a fairly respectable price. As for something unique in Australia, New Zealand, Spain or the South of France. That is a challenge we are presenting to our readers. 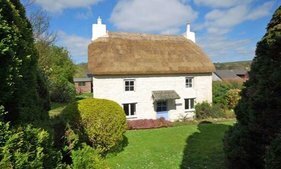 Please Can Bulletin Readers Suggest A Unique Property In The South? We are asking readers to email their favourite finds in the southern hemisphere. The eclectic is what we seek for our fellow traveller. Sun for the October to March half of the year. The budget for the southern hemisphere or equatorial unique home? 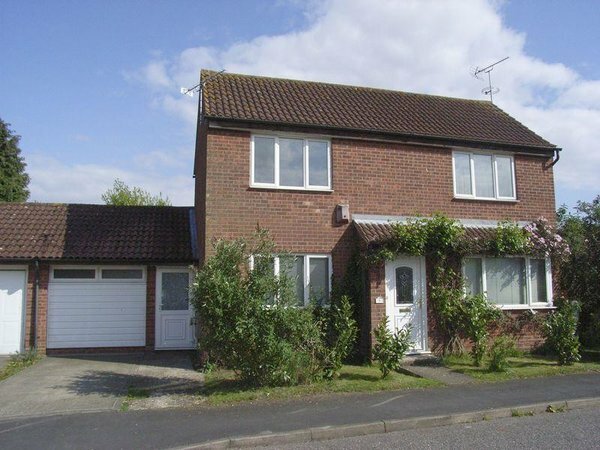 £172,000 (the buyer has £322,000 less for example £150,000 for the northern house). The invitation to suggest an antipodean candidate property is to balance the two geographic locations so that two-summers-no-winters will work well. This is to complement the northern property we have suggested. As far as the old station at Loth is concerned, the current owner/seller also runs a modest antiques business from the station part. So if you are looking to buy a home and a small business, this might just be the thing for you. Contact the owner – Tel: 01408 622098 or Mobile 07757 674896. 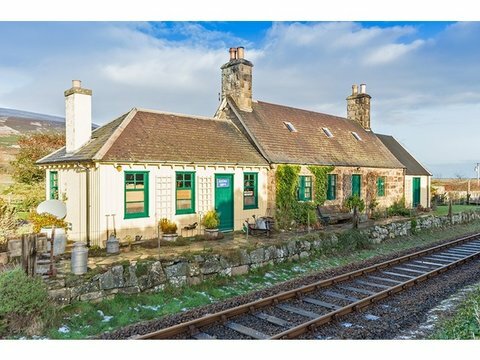 Please can folk mention to the owner that they found this former railway station master’s house for sale in the Unique Property Bulletin. This helps us keep this publication free for all readers. 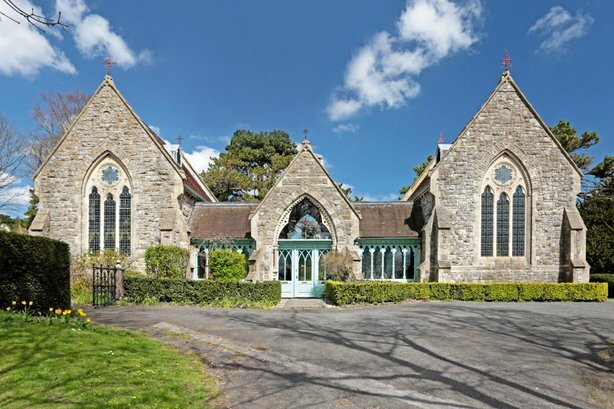 Arcadia has been created by joining a pair of Victorian Gothic cemetery chapels. Without being indelicate, this house isn’t exactly dog friendly – you couldn’t really let Rover go play dig-up in the cemetery gardens, if you know what we mean. Notwithstanding the quiet subterranean neighbours that have reached the end of retirement as the phrase goes, this is a finely built property designed by a student of Pugin – the articled Thomas Talbot Bury (here). Contact: Click Here. 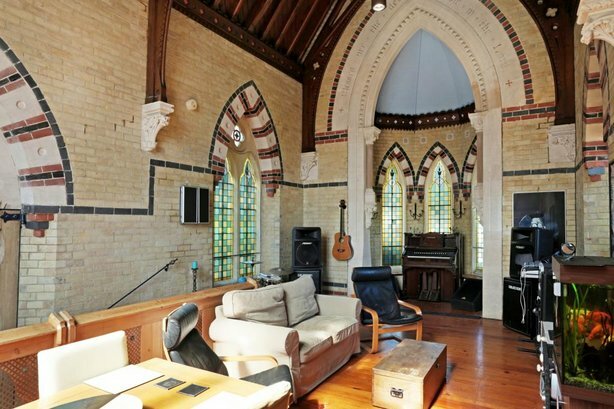 Please can folk mention to the estate agent that they found this converted chapel for sale in the Unique Property Bulletin. This helps us keep this publication free for all readers. 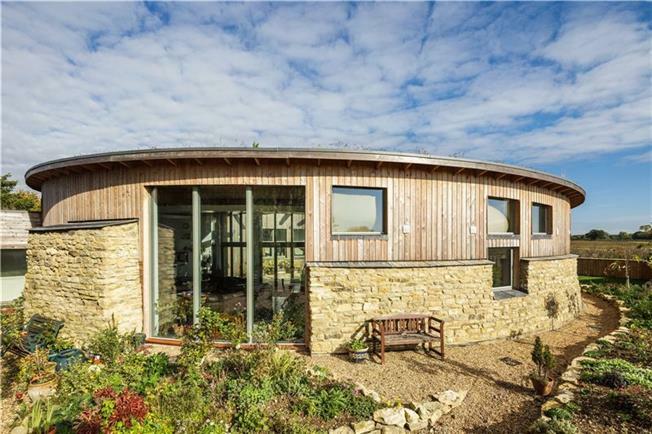 Properties for sale that have previously featured on Kevin McCloud’s television series, Grand Designs, are usually very popular. Though some can be a little heavy on the bank balance. Here is a building that was the star in episode 3 of series 14. Agency Summary: Throughout history pioneers in industry, architecture, engineering and research have been told, “it’s impossible, it can’t be done”. There have of course always been exceptions to the rule and this fine property certainly falls into that category. At first the property suggests a radical departure from regular new builds and it is, but only upon viewing this remarkable home does obvious practicality seamlessly combine with the comfortable and versatile contemporary living space. Further Details: Click Here . Includes an excellent piece of video footage. This property is unusual, even by Unique Property Bulletin standards. The Grand Designs television crew have already started preliminary filming at this site. 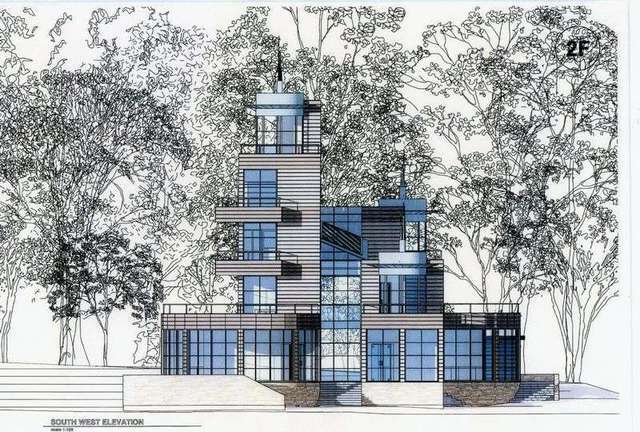 It is of course at the discretion of the new owners whether Kevin McCloud has the existing invitation renewed. 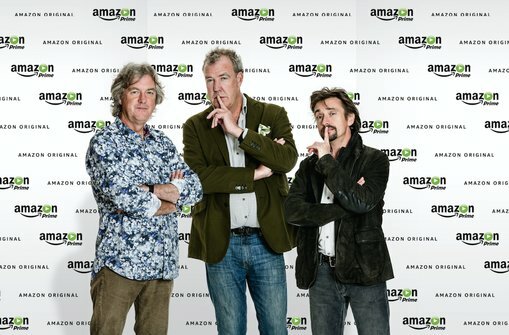 By the look of the designs, we really hope that Kevin and his team will be allowed to progress the episode, as this is certainly a property that we would like to study on the television programme. Agency Summary: The house will embrace the latest technologies in an effort to achieve the Code for Sustainable Homes Level 6. 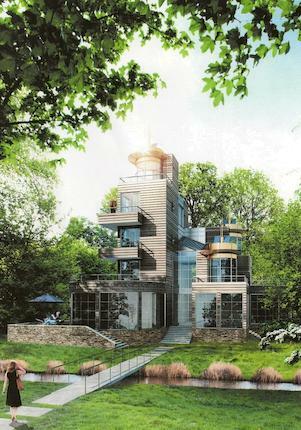 It is planned to include air to water heat pumps, photovoltaic panels, grey water harvesting and the possibility of an earth energy bank for longer term heat storage. Garage – approx. 560 square feet. 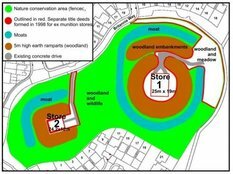 There are two ground floor layouts both with planning permission, the first in circular form and the second with a more conventional rectangular design – please see planning reference numbers above whilst planning approval and site assessment documentation also available from the selling agent. Agencyy Narrative: Subject to any amendments that the purchaser wished to make, it is understood that the project is at an advanced stage whereby work could commence onsite in a timely fashion. Architects, engineers, mechanical & electrical consultants and building contractors are all ready for appointment and guidance can be offered immediately on building regulation approval, structural design and build costs, including engineering matters, foundations, site work and general building works. Preliminary filming by the television programme Grand Designs has already taken place however it will be at the purchasers discretion as to whether they continue on with the television production company involvement. Contact Fine & Country – Tel: 01858 463747. 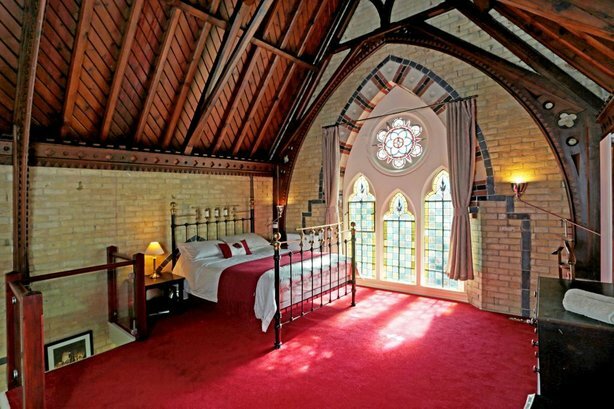 Please can folk mention to the estate agent that they found this Grand Design for sale in the Unique Property Bulletin. This helps us keep this publication free for all readers. 5 Minutes into the film to see the best part. 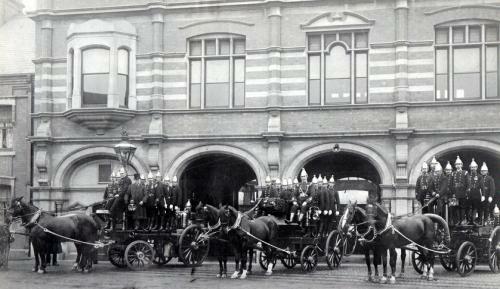 The Unique Property Bulletin started, by virtue of an unusual piece of transport. Back in the 1980s, during a previous career as a police officer, I happened across a car that was parked in the street with a trailer attached on the two-bar. Atop the trailer was a hovercraft. Fascination got the better of me as I wandered around this amazing piece of kit. The owner must have clapped eyes on a plod at his vehicle because he came along to ask if there was a problem. Not at all was my reply. We struck up a conversation, and an invitation was extended to go for a run in the hovercraft. A rare treat indeed. Just a couple of days later and this came to pass. 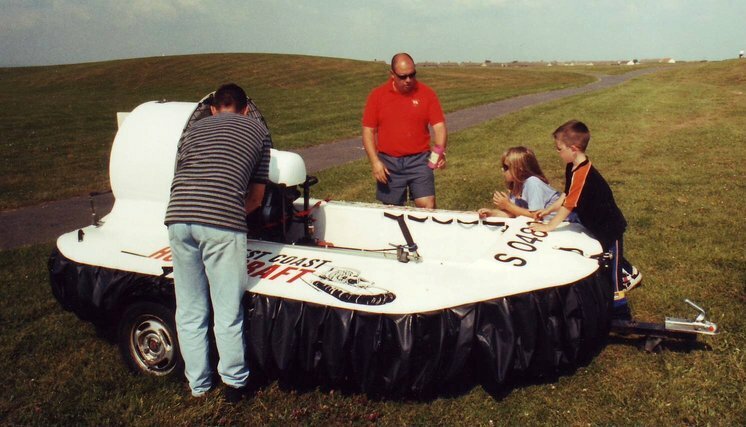 A test drive of a hovercraft is something something that everyone should have on their bucket list. 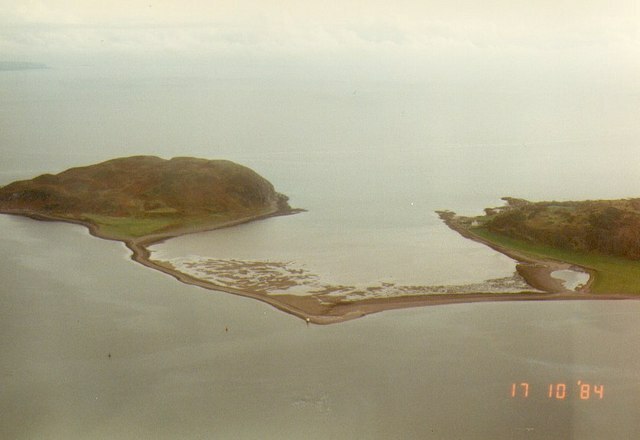 The location was perfect – a tidal causeway between the island of Davaar and the mainland. A hovercraft was, and is an ideal way to cross. Land, sand and water are all overcome with relative ease. The destination was reached very quickly. A beautiful island. Leaving the hovercraft, Mr Turner and I took a walk up the coastal cliff path on the north side of the island and this led to the old Lookout – and also the lighthouse tower. After a few minutes chatting, the next thing I knew, was the owner, an absolute gentleman, invited me to lease the empty coastguard buildings. 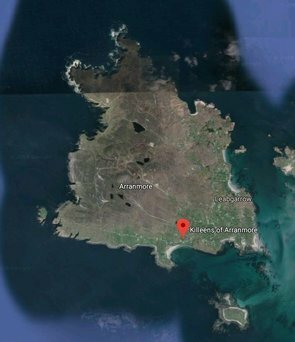 It has been over ten years since I was last on the island, but you can now rent the actual Lookout for holidays (click here) and (here). 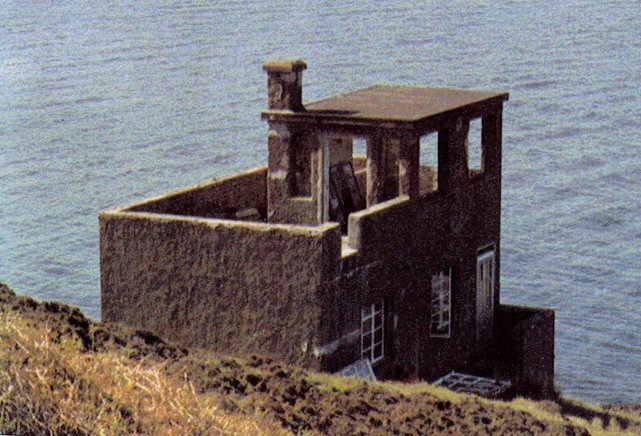 The idea was so that Mr Turner could have the comfort of there being a secure presence on the island. I was certainly game – for the thought of a sanctuary where you could relax when off duty had a great appeal. 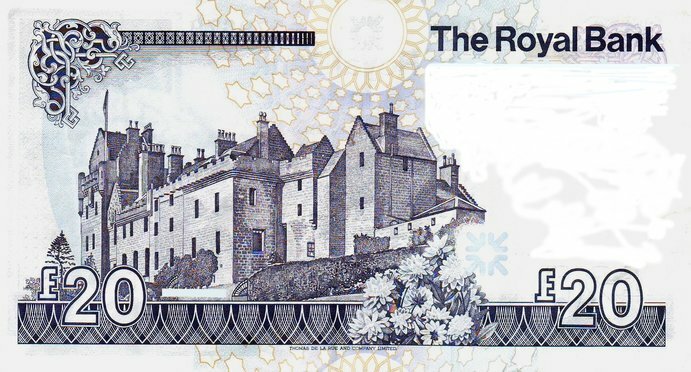 As the discussion progressed, the offer was put and accepted that if I undertook a modest renovation of the building, the rental would be a nominal amount each year (around a sovereign). 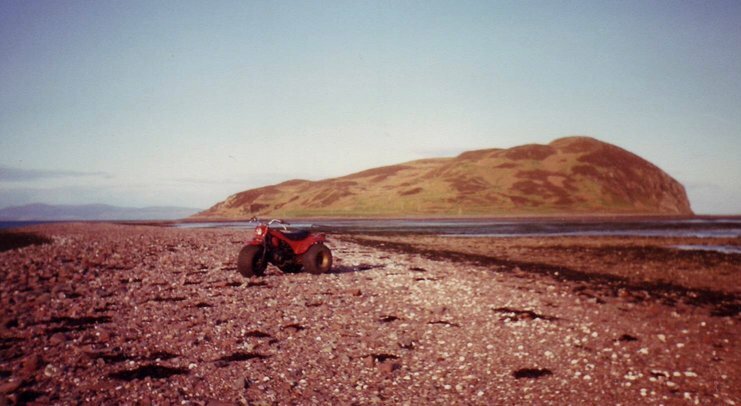 Then we graduated from the three wheeler, to a fairly standard farmer’s type of quad bike. This meant working with the low tides as the island was cut off twice a day by some pretty impressive tidal coverage. That was a good reason, if excuse were needed, to graduate to a boat for when the island was truly surrounded by water on all sides. 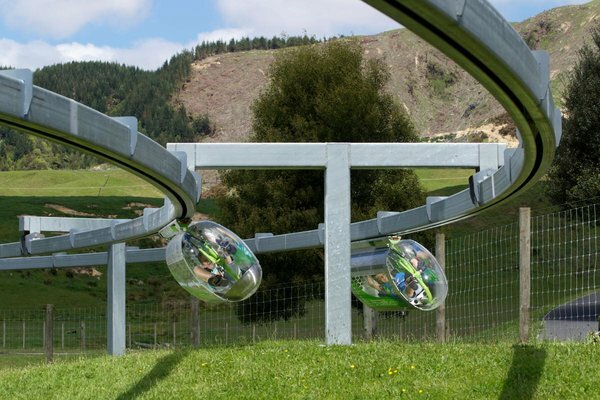 Surely an engineering solution could be found to build one of these peddle-powered monorails alongside, or directly under a footbridge. Installation at St Catherine’s Island and many similar properties would be inspirational. In relation to those who have a disability – these Shweeb peddle-pods can either self driven, or if a paraplegic adjustment module for hand propulsion is not yet available (technically this would be complicated), at least a push-me pull-you could go in tandem and allow many folk with disabilities to visit the island and fort. 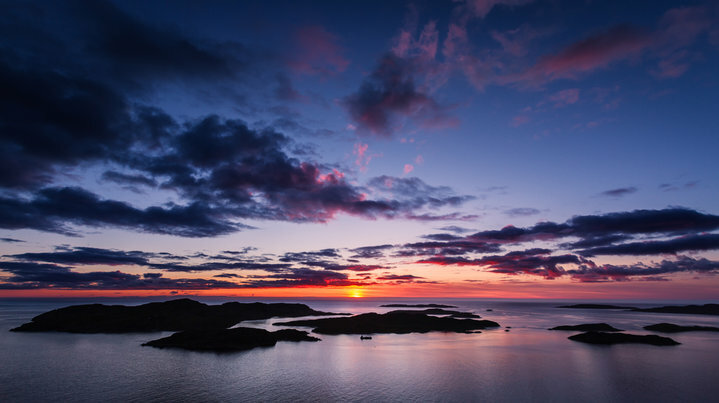 Guess which island is pictured above? 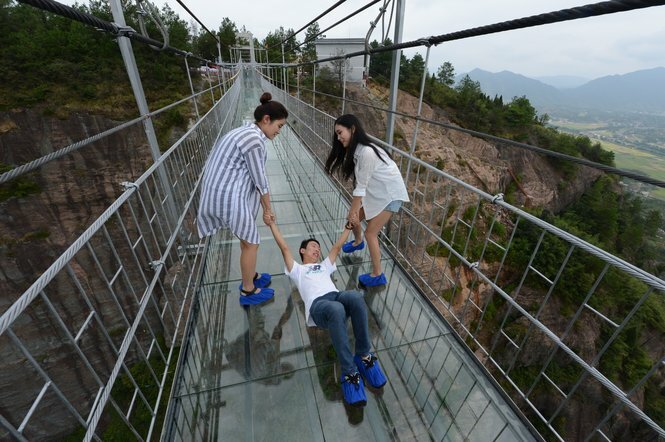 Okay it would need a Tianmen Shan type of crossing (here). Installing A Cable Car To St Catherine’s Island. What Do You Reckon? 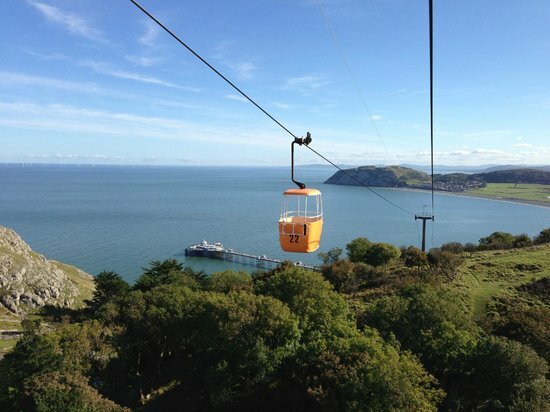 The very approximate value of this cable car system might be gleaned from a search of the current owner (here) at Companies House – Kinetics Industrial Ltd. 2015 figures indicate £92,115. This figure is neither guaranteed, nor definitive. But it may give a starting point on how much a second hand, 1969 build cable car system may be bought for. It is a useful thing to research the costs of infrastructure if your choice of unusual home might require the extraordinary to get there. Having said this, I can’t be too sure about second hand cable car costs. There was a recent purchase not too far from Bulletin HQ, and whatever way you look at cable cars and that form of transport, costs can be hefty (here). 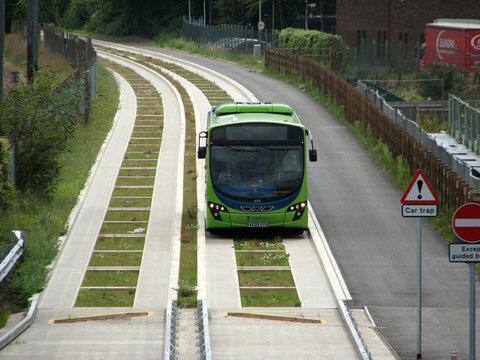 The guided bus ways are a fascinating study in, and of themselves. However, it is a mere lay-by to what this feature is considering. That is locating a way for you to solve possible transport problems to your unique property. The bus guideway led me to alight upon the next piece of inspirational method of getting from A to B. 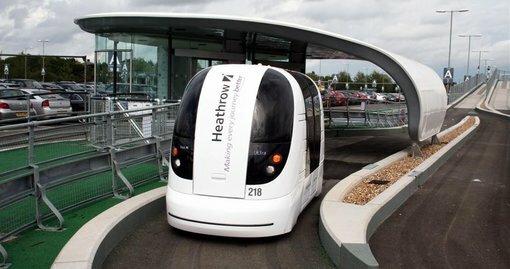 The driverless pod, on a guided pod-way. Not even sure if that sentence makes sense. 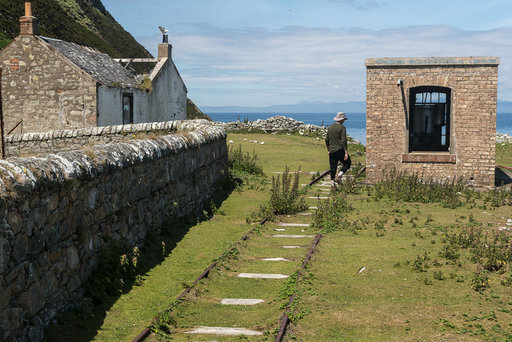 The idea of having one of these driverless pods get you from the main road infrastructure to your off-road lighthouse is something that takes a little getting the old brain around. Isn’t All This Unique Transport Stuff A Bit Far Fetched? 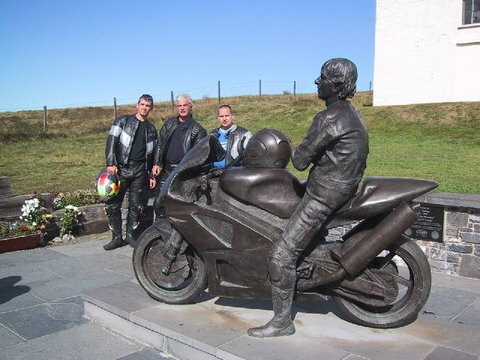 Would you like to join in with a similar adventure yourself? 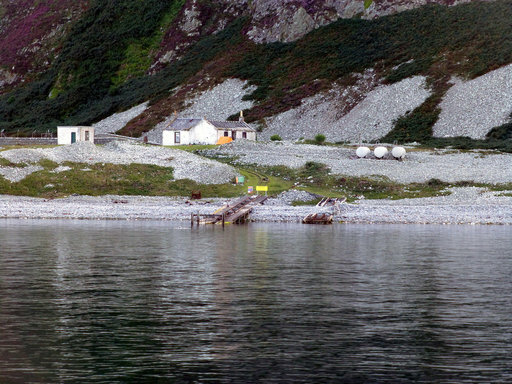 …to a magnificently eccentric place to stay at Ailsa Craig Island. The reason for suggesting that these unique journeys and methods of transport are eminently possible and plausible is that I’ve come across them in situations that interlock with what the Unique Property Bulletin is all about. For example, I never ever thought of personally owning part of a railway. Nor for that matter realises a bucket-list ambition learning to fly a helicopter. Let alone ending up with a CAA compliant helicopter pad in the garden. Incredibly the H-Pad thingy has happened twice now. Really, what are the odds of that? I mean who in their right mind would reckon that amongst the estate agent blurb in a set of particulars, you’d be expecting such a piece of flowery narrative: “This house benefits from double glazing, central heating a generous bathroom, plus a useful helicopter pad”. When chatting with a lifelong friend about the strange forms of transport that unique properties can entail, he surprised me with news of his own flying passion. This really is one for the birds. Seems very unnatural. A helicopter with no engine. Well technically an engine to power the thing forwards, but the main rotors have no form of propulsion. They work by magic. Lorne would explain this with technical precision and a nice mixture of Archimedes flavoured with some Leonardo da Vinci (here). Probably better if I just show you some video of the magic in action. Check out the beaming grin as the pilot whizzes by – a sign of how unique transport can make you feel. My friend has offered a go in the gyrocopter, but sadly the vestibular system got pretty much hammered with autorotation exercises a few years back – engine fail simulation and flare landing (here). So it is a sad case of thanks, but no thanks on the invitation to go for a flight in this incredible aircraft. Looks a lot of fun for those reading this that decide to telephone their nearest gyrocopter flying club and go for a test flight. 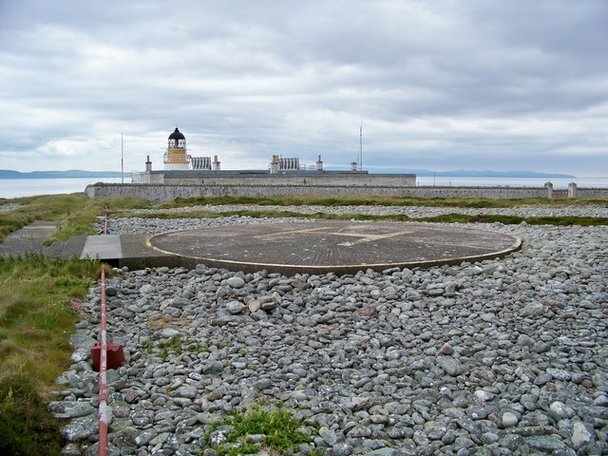 For those readers who have gotten to this point, it is worth noting that the Ailsa Craig Lighthouse Compound may very well be available for sale. The current owner did mention this a while back and we have asked the Bulletin conveyancing solicitor that handled the sale for us to enquire what price the present owner would seek in order for us to buy the lighthouse compound (plus railway, pier etc) back. 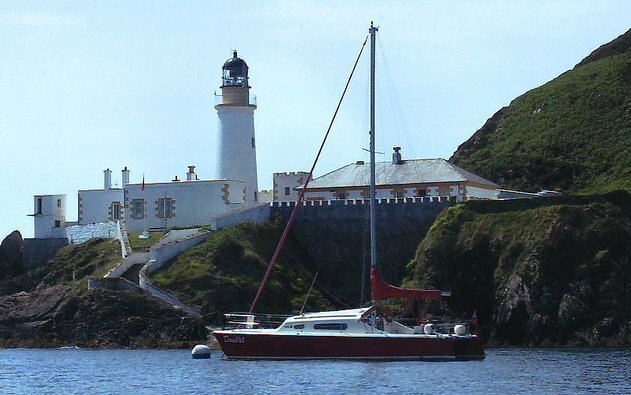 If you would be interested in joining us, and buy one of the Ailsa Craig Island lighthouse buildings for yourself, please feel free to join our email alert – click here and put the word “ailsa” in the subject line. We will then let you know if/when these buildings are placed for sale. 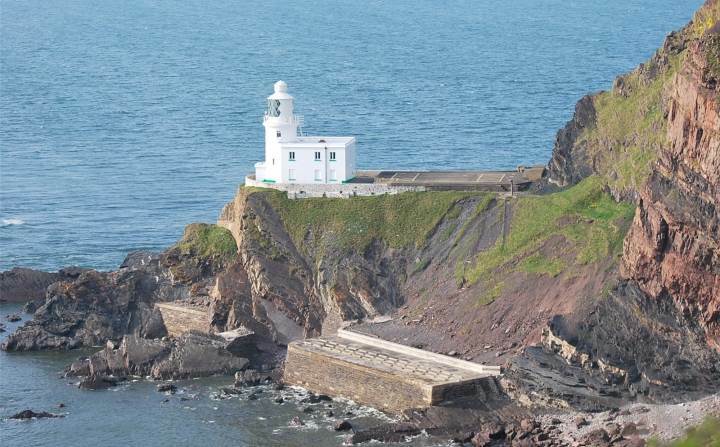 It is 15 years since we sold the lighthouse buildings, and as can be seen from the aerial video clip shown above, the properties clearly need a lump of renovation work, so be pleased be prepared for that. 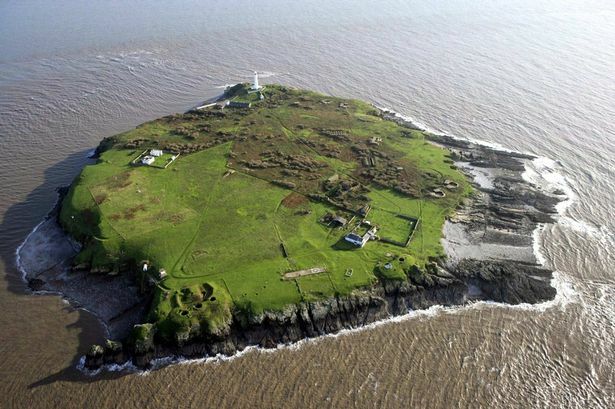 I’m sure you’ll agree that both the journey and the destination from a standard brick built house near London to an Olympic stone island is an adventure that contains an interesting tale. One that perhaps, just perhaps you might like to emulate in your own unique way? One last thing. The most ordinary form of transport that we ended up utilising was probably one of the most exciting, and sure beats the old Ford Mondeo motor car. This was one of my favourite modes of transport to the island…. I hope that you have enjoyed this current Bulletin, and that it has given some food for thought. In particular, that the journey can be every bit as exciting as the destination when you are searching for that ultimate place to call home. 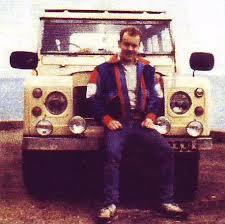 Many good journeys to Davaar Island in this old bus. Next Full Edition At 9pm, 5th June 2016.